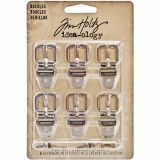 Idea-Ology Buckles W/Fasteners 1.5" 6/Pkg - ADVANTUS: Idea-Ology: Buckles. These little buckles will give your project an antique feel and will be the perfect way to fasten a strap or ribbon. 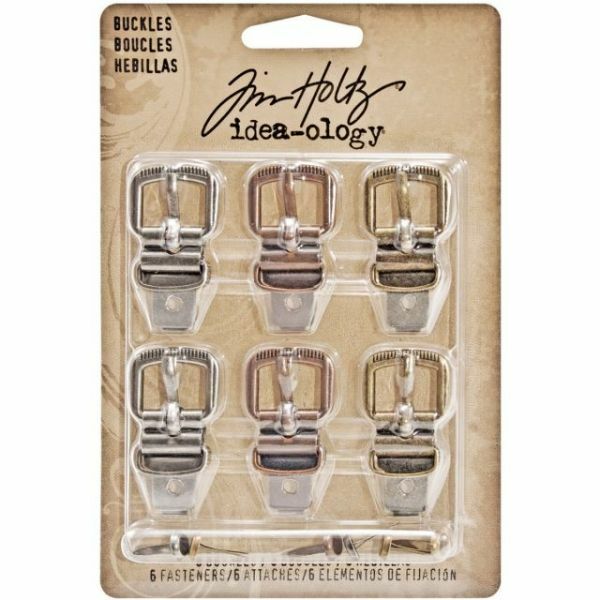 This package contains six 1-1/2 inch buckles and six fasteners. Designer: Tim Holtz. Imported.